My seating sculpture will be shown at this exhibition. Private View 17th March 2009, 7pm. The Centre of the Universe presents an untitled, yet heroic group exhibition, a performance by Jordan Hunt and a public artist’s salon. 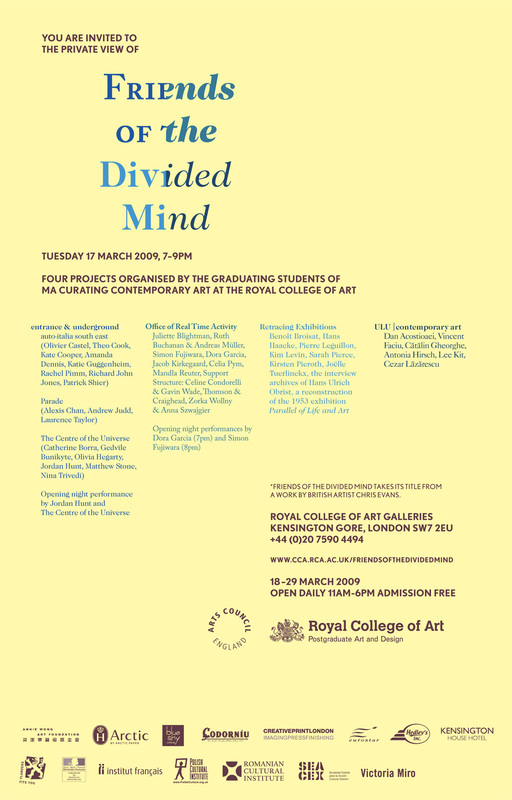 The show is happening within an exhibition by graduating students from the Royal College of Art’s Curating Contemporary Art MA course. Open daily 11 am – 6pm, free admission.